Samsung has recently released their newest entry in their Galaxy Note Series, the Galaxy Note 8. The phone is, as expected, a beastly piece of hardware with lots of improvements over its predecessor, and packed with tons of features. For this article, we are going to highlight 4 things that really impressed us with the Samsung Galaxy Note 8. We checked all the nooks and cranny and we came up with this list. Check it out! 1. Amazing Display - The Samsung Galaxy S8 impressed us with its Infinity Display. The Galaxy Note 8 has that, but it is bigger and prettier. The Note 8 has a 6.3 inch WQHD Infinity Display with an 18:9:5 aspect ratio. The main thing that stands out here is the aspect ratio because it did not alter the Note 8's size that much compared to those with 5.5 inch displays. It has a large, beautiful display, but it managed to squeeze it into a really manageable overall phone size. 2. First Dual Camera Setup by Samsung - Samsung surprised us all by including the first dual camera setup in their entire lineup with the Note 8. It sports a 12MP f/1.7 RGB sensor that has a DSLR grade Dual Pixel focus and Multiframe tech combined with a 12MP f/2.4 telephoto sensor that allows users to achieve 2x lossless, optical zoom. The most impressive part of this dual camera setup is that both sensors has Optical Image Stabilization. You do not have to worry about shaky hands that much! 3. Better S Pen Integration - The S Pen is an essential feature of the Note series since most of the users are those who have an active lifestyle. With the Note 8, the S Pen can do a myriad of things aside from the normal note taking tasks it can do before. You can now send Live Messages that allow you to share animations of your handwriting and doodles. Samsung also used the S Pen to help you with your travels to the foreign countries with their new translation feature. Just highlight a word and it will give you an accurate translation in your native language. Currencies can also be converted easily using this feature. Samsung also added the ability to use the S Pen to write on your screen even if it is not active using their always on technology, which is pretty neat. 4. Paired Apps - With all those spaces in the Note 8's beautiful display, Samsung included a feature that should be a staple feature in any phablet in the future called the Paired Apps. With paired apps, you can pair, as the name suggests, two apps so that they can open at the same time and split the screen realty evenly. This is a great multitasking feature that they should keep in the future. There you have it! A quick glance of some of the most noteworthy (Pun intended!) 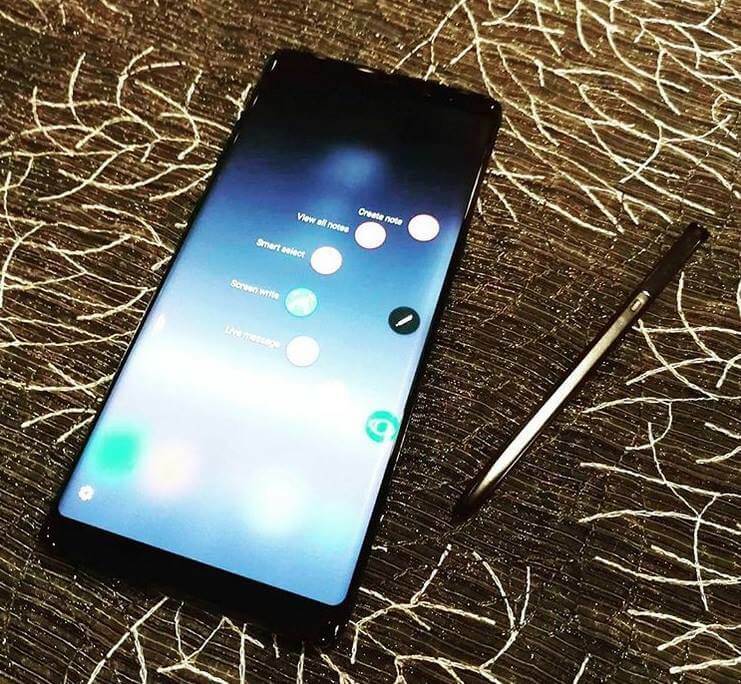 features of the Samsung Galaxy Note 8. It really is a beastly phone and can be a contender for the best smartphone of 2017.